^ Villoresi, Luca. “Barbarigo Teschi e memorie” (Italian). La Repubblica, Culture section (3 June 1994): p. 35. http://ricerca.repubblica.it/repubblica/archivio/repubblica/1994/06/03/barbarigo-teschi-memorie.html 2009年4月24日閲覧。. ^ a b Majdalany, p. 91. ^ a b Laurie, p. 15. ^ The French Expeditionary Corps in Italy Archived 2008年9月17日, at the Wayback Machine. ^ Singh, Sarbans (1993), pg 204. ^ Singh, Sarbans (1993), pg. 204-205. ^ David Hapgood, Monte Cassino, p. ? Atkinson, Rick. 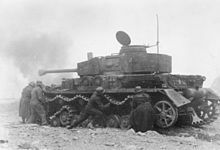 The Day of Battle: The War in Sicily and Italy, 1943-1944. New York: Henry Holt. ISBN 0-8050-6289-0. Bloch, Herbert (1979). The bombardment of Monte Cassino (February 14-16, 1944): A new appraisal. Tipografia Italo-orientale. Ellis, John (2003). Cassino: The Hollow Victory: The Battle for Rome January-June 1944. Aurum Press. ISBN 1-85410-916-2. Hapgood, David; Richardson, David (2002) . Monte Cassino: The Story of the Most Controversial Battle of World War II (reprint ed.). Cambridge Mass. : Da Capo Press. pp. 275. ISBN 0-306-81121-9. Hassel, Sven (2003). Monte Cassino. Cassell Military Paperbacks. Cassel. ISBN 0-304-36632-3. Laurie, Clayton D. (Revision of 3 October 2003) . Rome-Arno 1944. CMH Online bookshelves: WWII Campaigns. Washington: US Army Center of Military History. ISBN 9780160420856. CMH Pub 72-20. http://www.army.mil/cmh-pg/brochures/romar/72-20.htm. Majdalany, Fred (1957). Cassino: Portrait of a Battle. London: Longmans, Green & Co Ltd.. OCLC 536746. Smith, Col. Kenneth V. (1990?). Naples-Foggia 9 September 1943-21 January 1944. CMH Online bookshelves: World War II Campaigns. Washington: US Army Center of Military History. CMH Pub 72-17. http://www.army.mil/cmh/brochures/naples/72-17.htm. various authors (2000). Monte Cassino : historia, ludzie, pamięć = history, people, memory. Askon. ISBN 83-87545-25-2. Phillips, N.C. (1957). Italy Volume I: The Sangro to Cassino. Official History of New Zealand in the Second World War 1939–45. Wellington, New Zealand: War History Branch, Department Of Internal Affairs. http://www.nzetc.org/tm/scholarly/tei-WH2-1Ita.html 2007年11月28日閲覧。. Katri'el Ben-Arie (1985). Die Schlacht bei Monte Cassino 1944. Rombach Verlag. ISBN 3-7930-0188-1. E. D. Smith (1991). Der Kampf um Monte Cassino 1944. Stuttgart: Motorbuch Verlag. ISBN 3-613-01095-X. Heinz Konsalik (2004). Sie fielen vom Himmel. Klagenfult: Kaiser. ISBN 3-7043-1329-7.